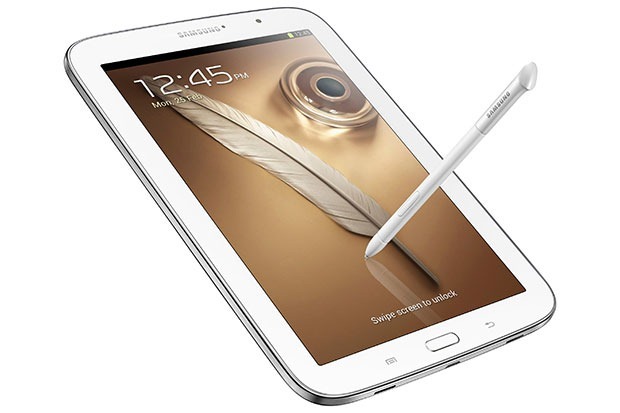 The best deal of the lot is probably the Galaxy Note 8.0 (16GB), which can be had by itself for $279.99. That's a full $130 off the price of a new, non-refurbished unit. 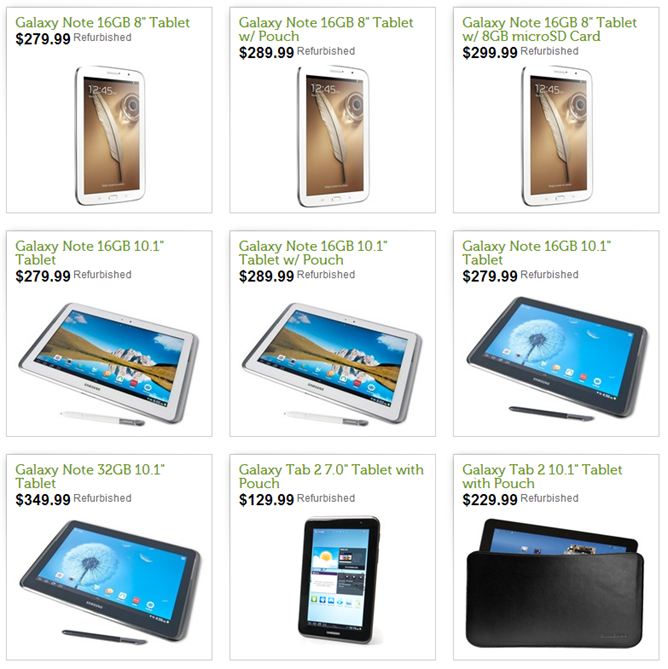 You can also get a bundle with a tablet pouch for $289.99 or with an 8GB MicroSD card for $299.99. 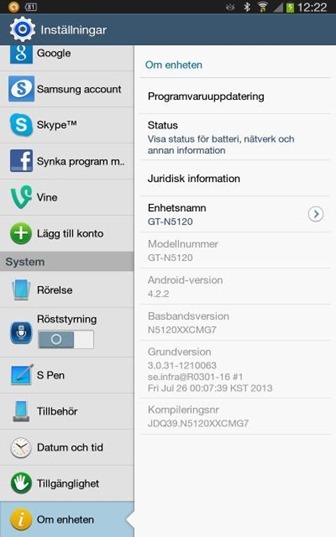 The 4.2.2 update for Samsung's tablets has been kind of sporadic. The Note 8.0 update is starting in the UK, with expansions to more countries soon. The update clocks in at a whopping 1.3GB, and is being hosted various places online if you want to skip to the head of the line. 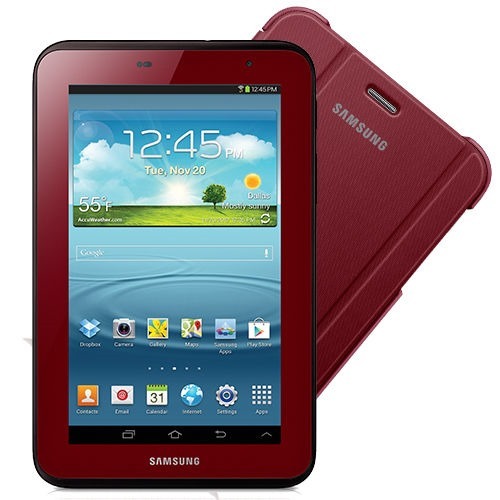 As we stated earlier, there's no difference between this Garnet Red Galaxy Tab and its less flamboyant predecessor - you still get a somewhat dull 1024x600 screen, 1Ghz dual-core processor, 8GB of storage with a MicroSD card slot, and Android 4.1 with TouchWiz. 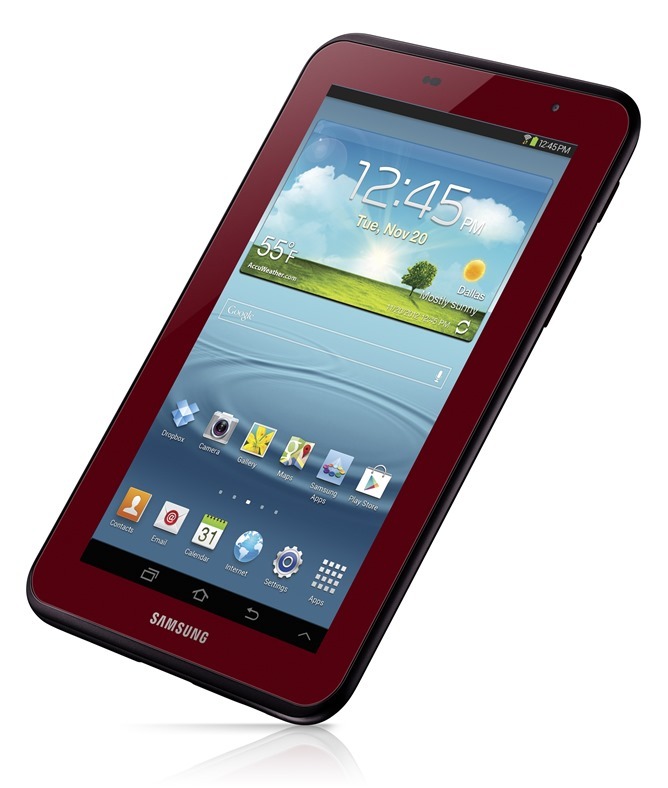 If you like red, and you like Samsung's Galaxy Tab 2 7.0, then this may just be the best Monday you'll have all week. Why? 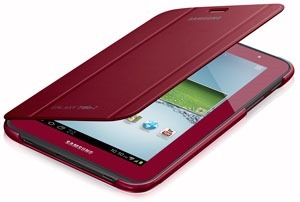 Because Samsung just unveiled a Special Edition Galaxy Tab 2 7.0 in – wait for it – Garnet Red. Exciting stuff, I know. So, what's new with this Tab? Aside from the color, nothing. Nothing at all. Under that shiny red exterior, it's the same Galaxy Tab 2 7.0 that we've all come to know and love – or at least kinda like – over the last nine months. 0.41" x 4.8" x 7.6", 0.76lbs. 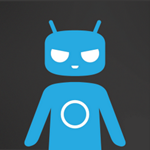 With CM10, the CyanogenMod team started pushing out M-Series releases, which are designed to be a more stable alternative to nightly builds. In fact, CM cites these builds as being "mostly stable and ready for everyday use." 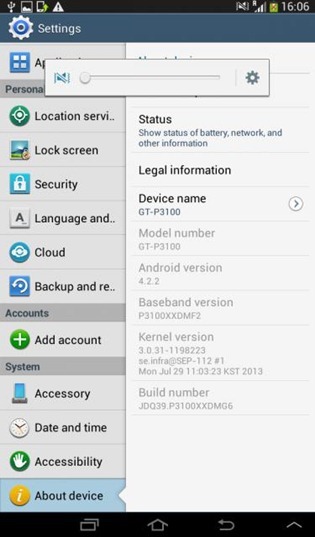 Of course, this is just a starter list and more devices will be added in the coming days/weeks. Of course, there's no changelog available at this point, but we all know what to expect from Jelly Bean: Google Now, Project Butter, improved performance, enhanced notifications, and more. You know what's fun? Source code. Source code is fun. 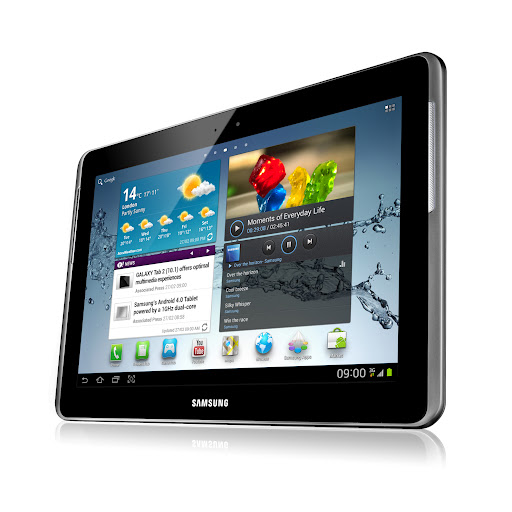 OK, maybe it's not everyone's idea of fun, but Samsung has just released the kernel code for three more tablets – the international Note 10.1 (GT-N8010), Tab 2 10.1 (GT-P5110), and tab 2 7 (GT-P3110) – and we thought some people may get excited about that. 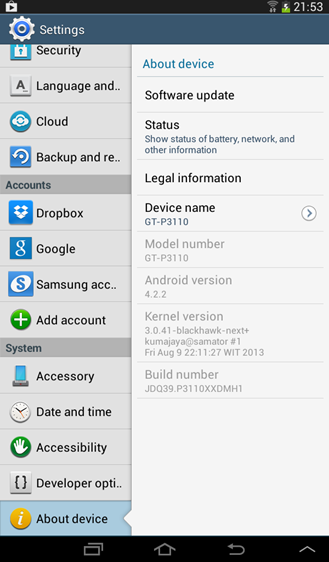 This means more tweaks, mods, and other un-stock things are coming to the aforementioned devices. 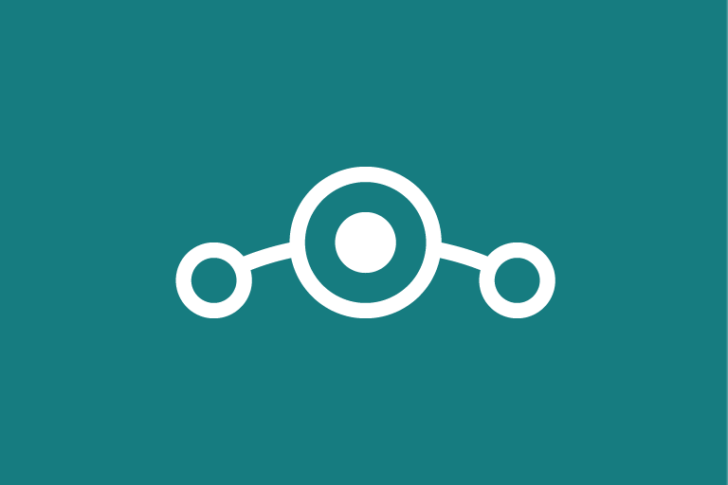 So, if you've been waiting to overclock (or some other neat thing) your tablet, keep an eye on your favorite dev – all the goodies should be just around the corner. Update: More devices added - see the list below.